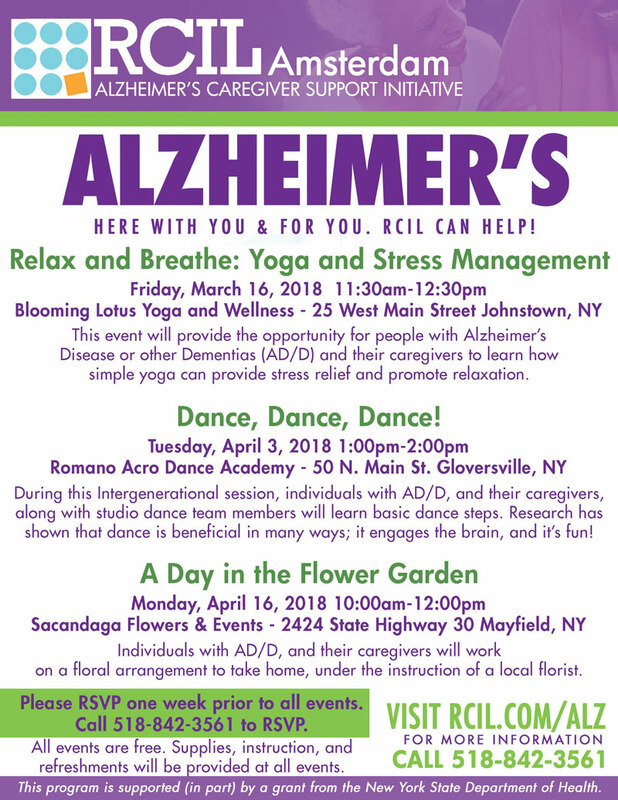 Please RSVP one week prior to all events Call 518-842-3561 to RSVP. ALZHEIMER’S HERE WITH YOU & FOR YOU. RCIL CAN HELP! Individuals with AD/D, and their caregivers will work on a floral arrangement to take home, under the instruction of a local florist. All events are free. Supplies, instruction, and refreshments will be provided at all events.